My Little House Design: Last Post Before the Home Tour! 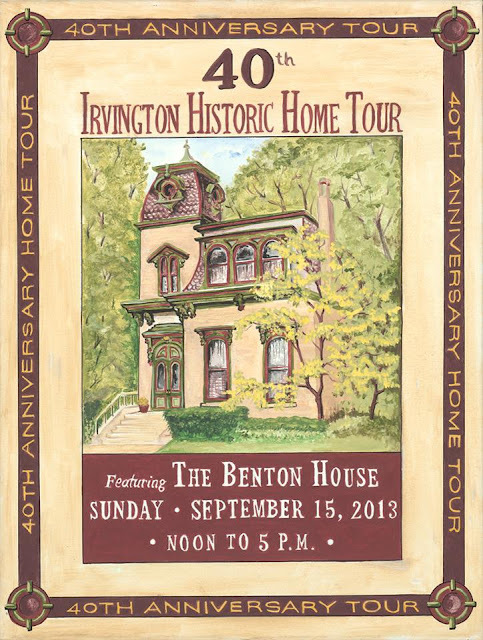 Soooo.... that time has come, the home tour is this weekend! I'm excited, nervous, and I'm already tired thinking about how long I'm going to be standing and schmoozing. But I think it will go well. If you live in the Indianapolis area you should definitely check it out! My house is one of six homes and there are also three buildings. It should be pretty cool. Tickets are available at several Irvington locations (more information here). Considering how I was gone for a month and then one-handed for the first five weeks I was home, I'm pretty proud of everything I was able to accomplish. I am excited about the home tour for a lot of reasons but mostly because having my house this clean made me jump on an opportunity I have been thinking about for a while. What is it? Well, you will just have to stay tuned to find out! Went through your house at the tour today, loved it! Thanks for setting everything up, looking forward to reading through the blog! P.S. I saw your post on your amazingly gorgeous tufted ottoman for $25! I'm soooo jealous! :) I LOVED that ottoman when I saw it today!! P.P.S. I added your blog to my Feedly so I can be sure to read your fun future posts! Awesome awesome awesome Rachel!!!! Thanks so much for visiting my blog and for giving me the information on the conference. I just looked into it - it looks amazing, but I'm not sure I can afford it this year. Something to save up for for next year!! I'm excited to have you following my blog! !